B-Sure Systems in Syracuse, New York, has been in the basement waterproofing business since 1972. We get to the source of your water problem and solve it—permanently and at a reasonable cost. We recognize that every home is unique and therefore treat every wet basement problem as such, creating a specific solution for every issue we come across. In order to decipher the root of your watery basement and construct an estimate for your personalized waterproofing service, B-Sure Systems offers FREE basement inspections and evaluations. We pride ourselves on providing the most cost-effective and noninvasive resolution to your problem. Our team doesn’t want to find the easiest way to finish the job and just put a band-aid on your foundation. Our goal is to do things right and find a permanent solution to keep your basement dry forever. 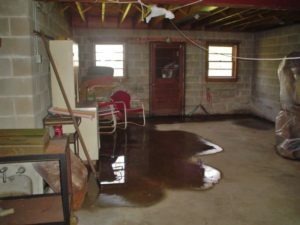 At B-Sure Systems, we realize that when it comes to a wet basement, time is of the essence. Waiting to address the situation can lead to serious structural issues and toxic mold. Therefore as soon as you suspect you may have a leak in your foundation, do the right thing and call us today. Ignoring your wet basement will only lead to an unhealthy home, and potentially, and unhealthy living environment for you and your family. Take care of your damp basement problems ASAP by calling today 315-455-7725 or 800-433-0123. The employees of B-Sure Systems would like to take this opportunity to thank you for your interest in our products and services. Our pledge to you, as a local, family-oriented company, is one of total commitment to your complete satisfaction. Also, with today’s economy, we know just how important a factor price is. That is why we accept Visa® and MasterCard® for your convenience. That is also why you will receive the lowest price possible while maintaining the integrity and quality you deserve. At B-Sure Systems, we do not want to be the biggest, just the best!